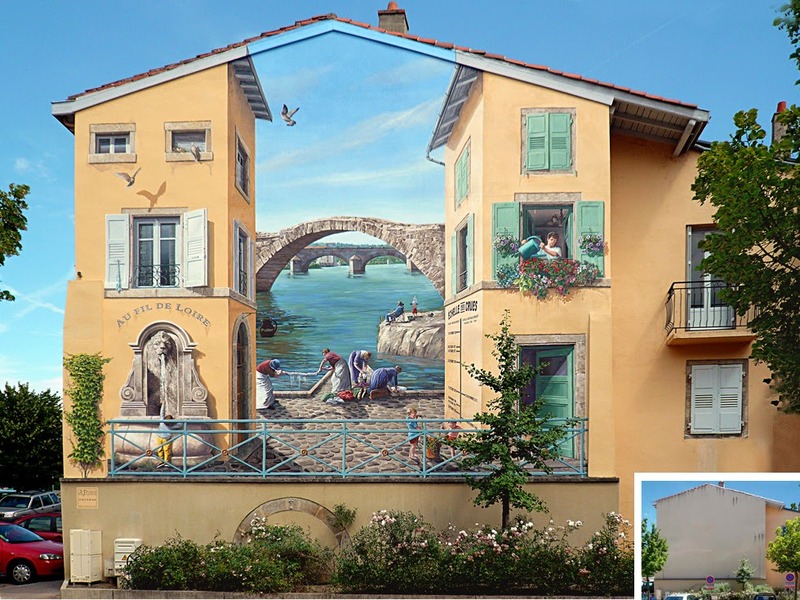 A couple of weeks ago we featured a An artist in Tehran that created murals like these. 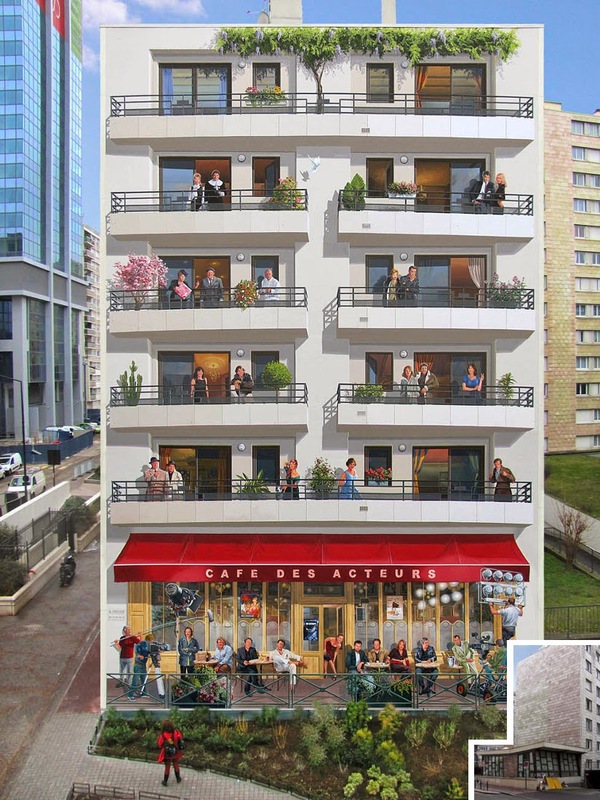 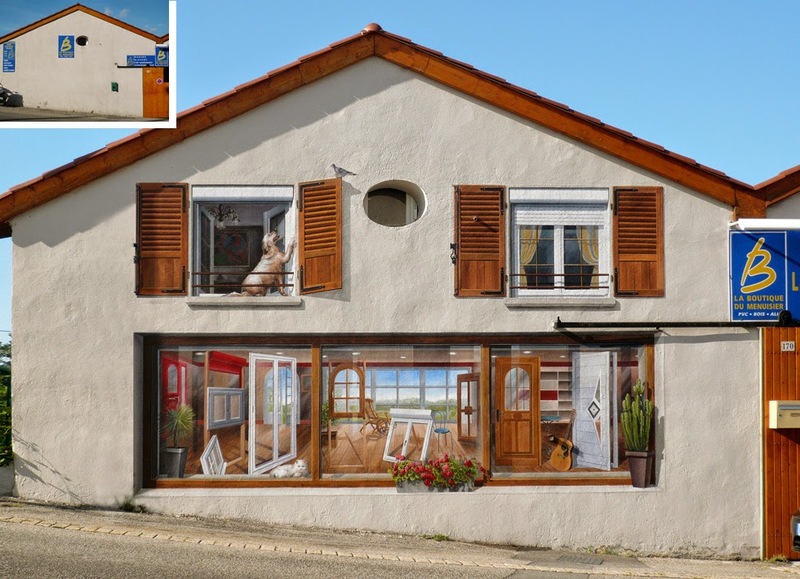 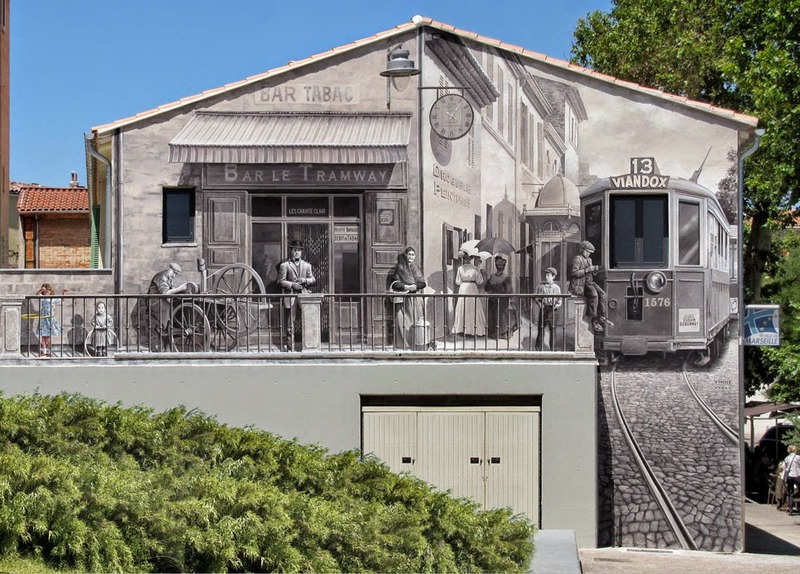 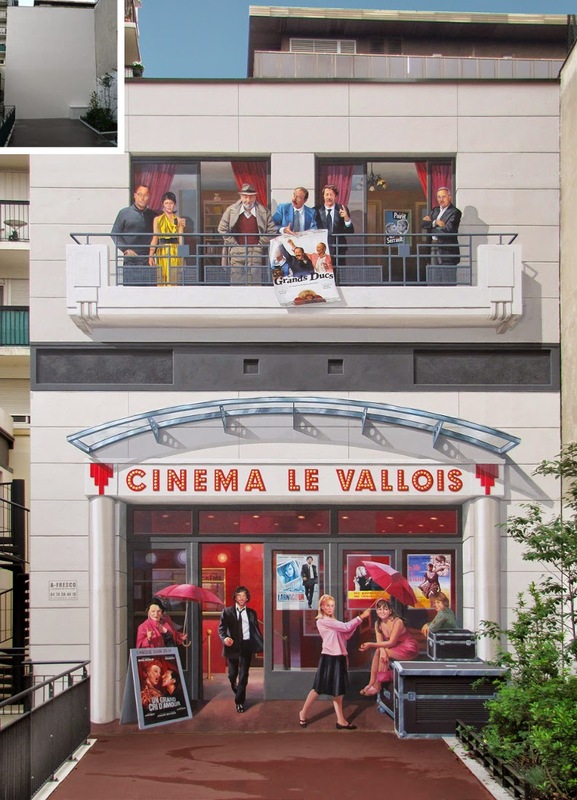 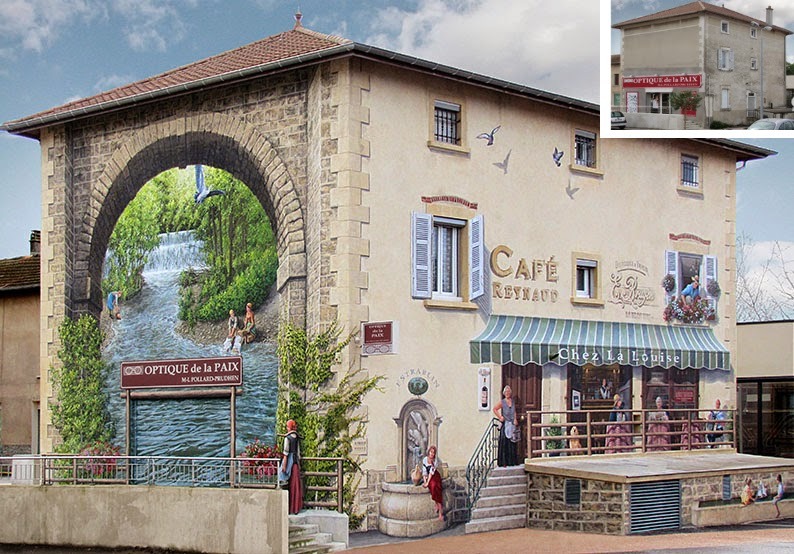 This week we are going to have a look at French Artist Patrick Commecy's incredible murals. 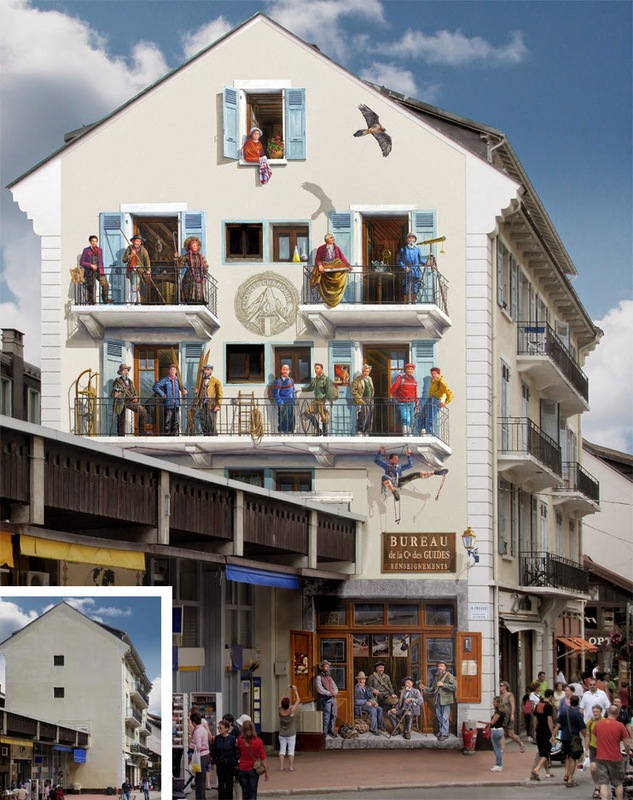 The images we have chosen are the ones that have rejuvenated the blandest building facades. These lovely paintings lift the look of the buildings and makes us pay attention to buildings we see so often they almost become invisible. 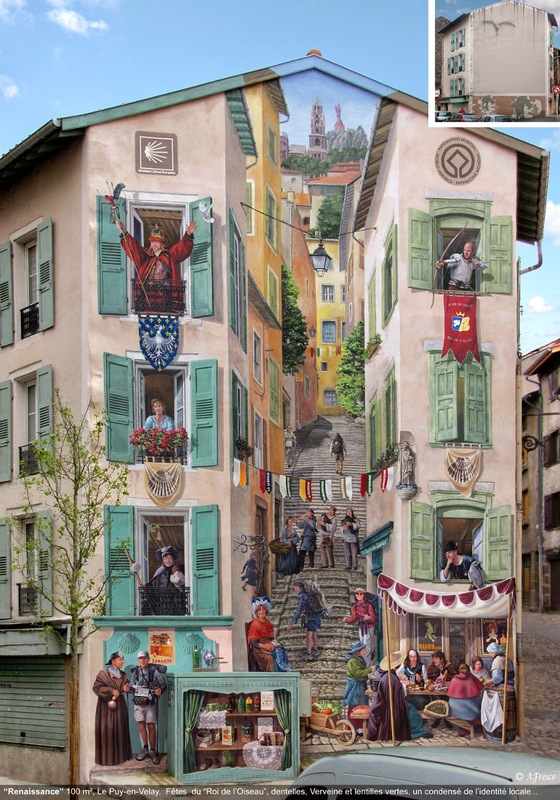 For a town or a city, this can also be an amazing tourist attraction. 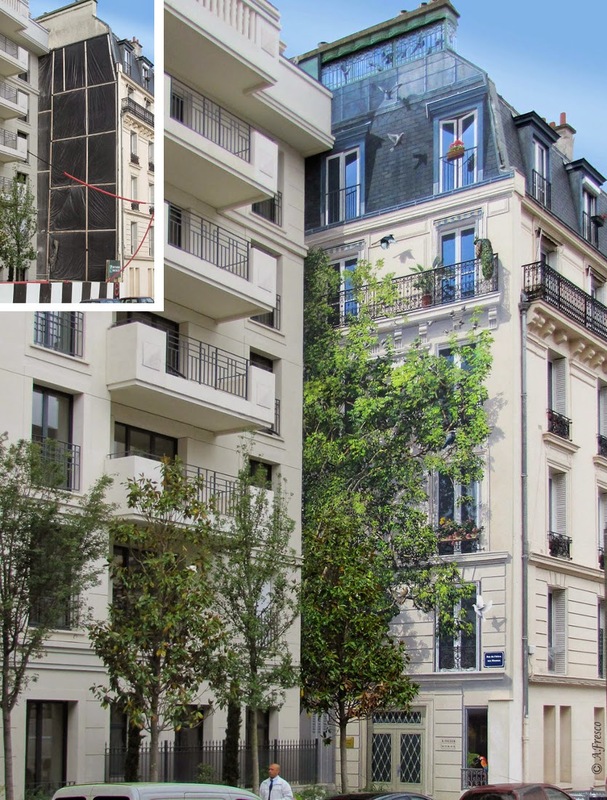 Some of these drawings give a flat 2D facade an inviting 3D view, have a look at the Before pictures in one of the corners of the main picture. 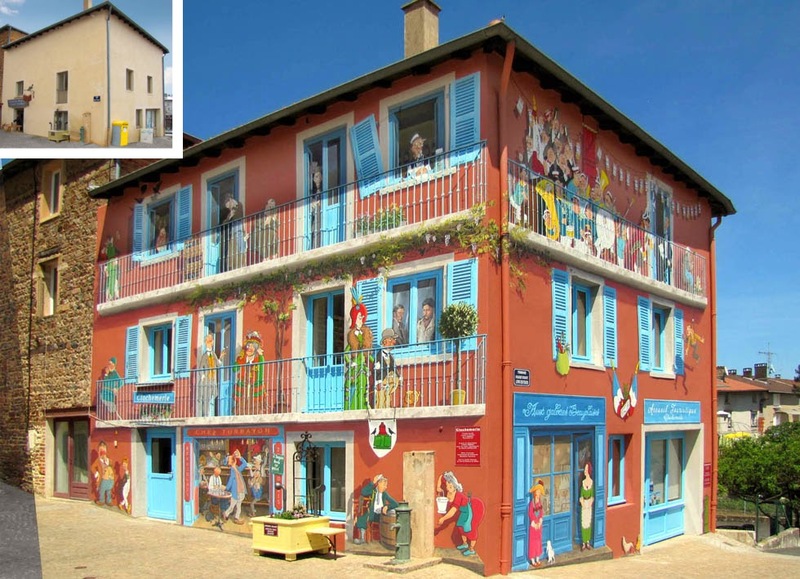 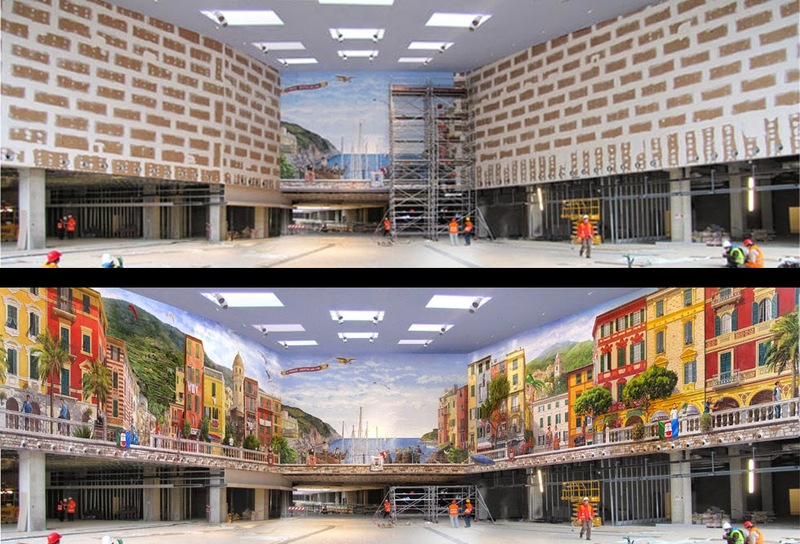 If you like this have a look at Rejuvenate your Building with a Paint-job (<= press the link). 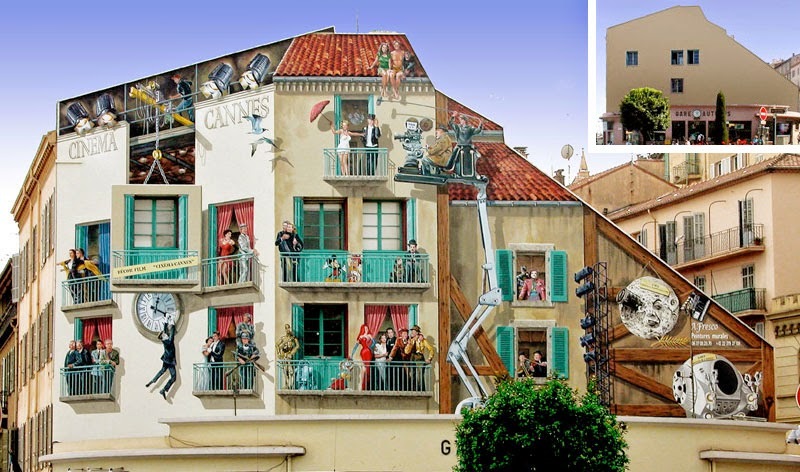 The lower part of the building seems to have been removed and then painted with the rest of the facade.